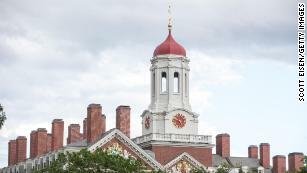 Federal prosecutors say 50 people took part in a scheme that involved either cheating on standardized tests or bribing college coaches and school officials to accept students as college athletes — even if the student had never played that sport. “There were essentially two kinds of fraud that Singer was selling,” US Attorney Andrew Lelling said. Singer arranged for a third-party — usually Mark Riddell — to take the test secretly in the students’ place or replace their responses with his own. Igor Dvorskiy, who administered SAT and ACT tests in Los Angeles, and Lisa “Niki” Williams, who administered the tests at a public high school in Houston, are both accused of accepting bribes to allow Riddell to take the tests. Both are charged with conspiracy to commit racketeering. In some cases, parents allegedly took part in Singer’s scheme to bribe college coaches and athletic officials. Who’s the CEO and company behind the admissions scam? While college coaches don’t explicitly decide who gets accepted into their universities, they do make recommendations on which recruited athletes should be accepted. 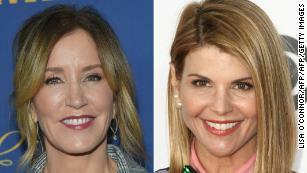 Loughlin, who played Aunt Becky on “Full House,” and her fashion designer husband, Mossimo Giannulli, allegedly agreed to pay bribes totaling $500,000 to have their two daughters designated as recruits to the University of Southern California crew team. But neither of Loughlin’s daughters ever competed in crew, a complaint states. Instead, the parents sent photos of each of their daughters on a rowing machine. Singer disguised bribe payments as charitable contributions to the Key Worldwide Foundation — a purported non-profit that was actually “a front Singer used to launder the money that parents paid him,” Lelling said. Ironically, Singer — who allegedly said his goal was to “help the wealthiest families in the US get their kids into school” — claimed the KWF non-profit was aimed at helping poorer students. In a 2018, Singer called Loughlin’s husband, Giannulli, to clarify the cover story on the family’s massive payment. “So I just want to make sure our stories are the same … and that your $400K was paid to our foundation to help underserved kids,” Singer said. 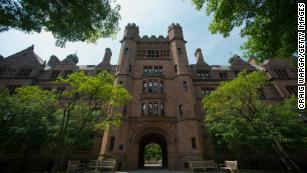 Across the country, parents are outraged that wealthy families cheated their way to elite universities — thereby denying spots for less privileged, harder working kids. All USC applicants who are connected to the alleged admissions cheating scheme will be denied admission, spokesman Gary Polakovic said. A case-by-case review will be conducted for students who are already enrolled at USC and may be connected to the scheme. USC will “make informed, appropriate decisions once those reviews have been completed. Some of these individuals may have been minors at the time of their application process,” he said. Wake Forest University said it’s put head volleyball coach Bill Ferguson on leave. Ferguson faces a charge of conspiracy to commit racketeering. The University of Texas at Austin said Wednesday it dismissed men’s tennis coach Michael Center a day after placing him on leave. Center is charged with conspiracy to commit mail fraud and honest services mail fraud. He could not be reached Tuesday. 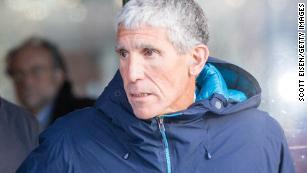 Yale University said it will continue cooperating with investigators after former women’s soccer coach Rudolph “Rudy” Meredith was charged. UCLA has put men’s soccer head coach Jorge Salcedo on leave as he faces a charge of conspiracy to commit racketeering. “UCLA is not aware of any current student-athletes who are under suspicion,” the university said in a statement.